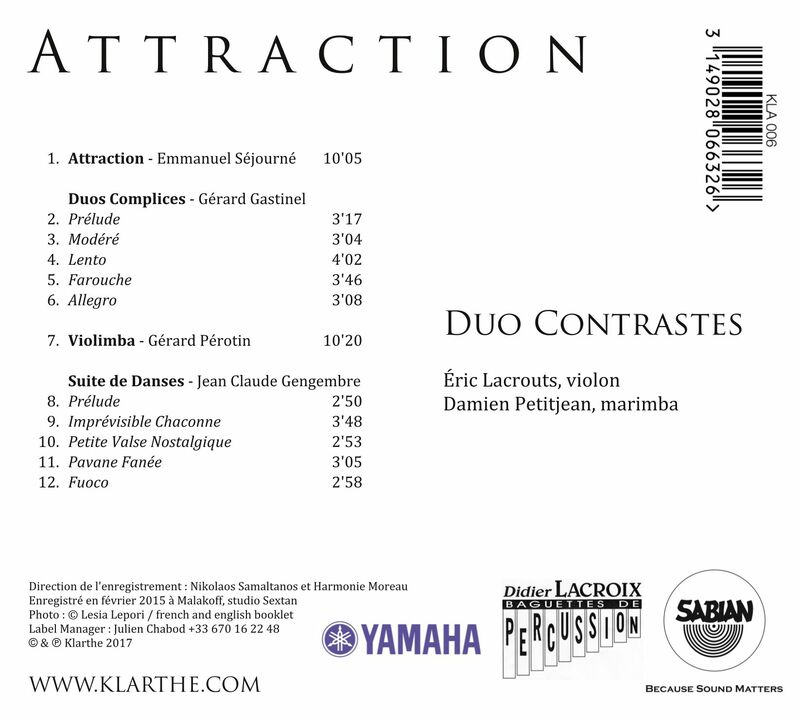 After a first disc in 2007 dedicated to existing works and transcriptions, we decided to work in direct collaboration with composers. The path we have chosen is designed to open up the repertoire and the horizons of our duo. This disc is an account of a part of these compositions, and of as many encounters. It also shows the pertinence of the partnership between the violin and marimba. A huge thankyou to the composers who accepted the challenge! 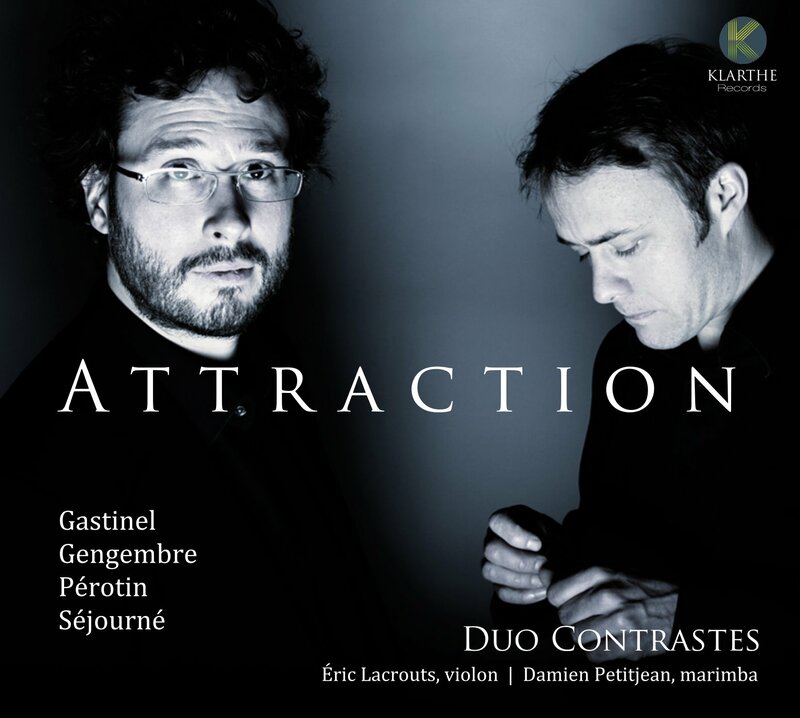 Éric Lacrouts, violonist and Damien Petitjean, percussionist, play together in the prestigious Paris National Opera Orchestra after studying both at the Conservatoire National de Musique of Paris, yet, their musical paths were different. Bound by the same conception of music, they quickly became true accomplices and created “Contrastes”. The duet’s name is based on this particularity which brings two a priori distant instruments closer. This association does not enhance an opposition but their own nature. And their sounds as well as their technique show a real complemantarity. By working rigorously and getting on well, they managed to build a strong music group of great artistic value. The music they offer brings us through the domains and colours of different continents. Using both original works and transcriptions, they work with the composers on musical creation to develop the repertoire.